Nice, how long is he? He looks a little larger than others I have seen. 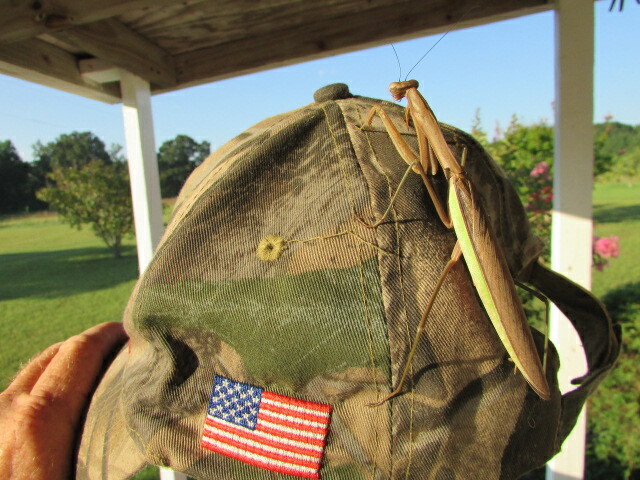 I didn`t take any measurements with this mantis but the cap is a standard size cap. No doubt longer than most I have ever seen in this area. How old is it? It's got to be getting up there by the looks of him. I am actually kind of jealous. Not sure of the age but rather healthy, good insects are extremely beneficial, a healthy area is beneficial. 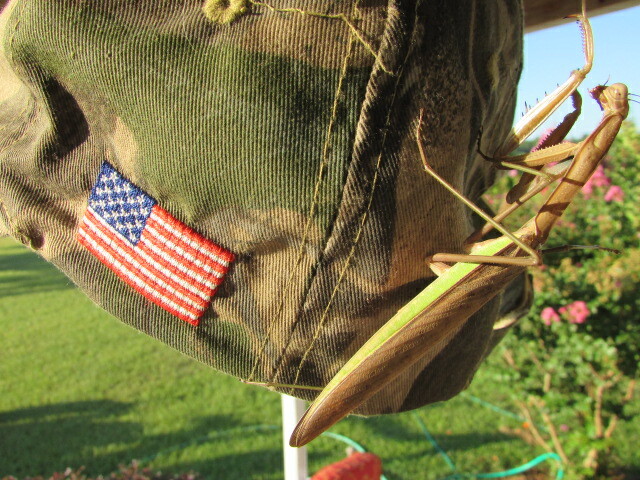 The trees in the background of first photo`s was the last place I observed this mantis. Super awesome anyway. I'd love to have that guy myself. My interests in order, greatest-least: Lepidoptera, Coleoptera, Homoptera, Orthoptera, Odonata, Mantodea, Thysanoptera, Hemiptera, Hymenoptera, Phasmatodea, Diptera, Blattodea. I think you are right, Chinese Mantis. I visually labeled it Chinese also. That is the biggest mantis I ever saw. How long is he now? is mantis good for a pet insect? Do they sting when you touch them? This one was not a pet, just a casual insect eater around our back patio porch, so more than likely he or she lived out its life span at some point in time and i`m not sure if this mantis grew anymore. They do have chewing mouth parts but nothing a human should be really concerned about. No sting..
Sting? Who ever told you they sting? Ah, the Prey Mantis, the king of insects. Definitely my favorite type of insect. Don't see too many here tho. I live in the South. But I've seen a few! Thanks all, glad you took a visit with a king of insects.. I'm pretty sure they are protected by US law as well. 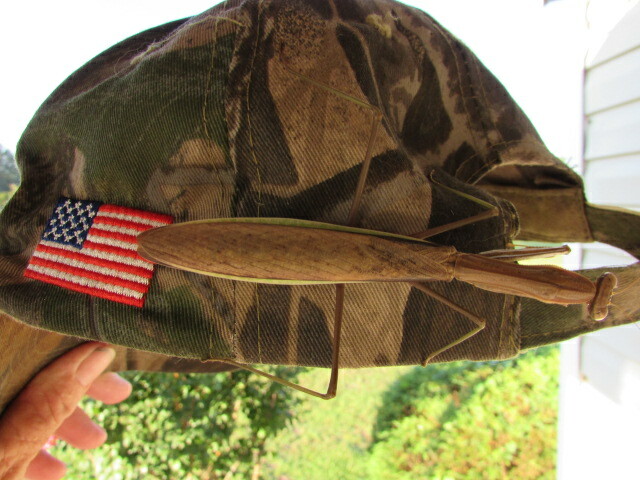 There is not a federal or state law protecting mantids. Not sure who told you that? Is it a particular species? I have never heard of that. I have never heard of any laws protecting these mantids, but I haven`t had the time to look either. I would find it extremely difficult if not impossible to enforce such law. Crop dusters kill off all sorts of insects down this way and lots of other people kill any insect that stings or crawls. Good luck with any insect law. Hmmm....I have no idea really then. It's something I heard a long time ago. But agreed, how the heck could they enforce it! ?